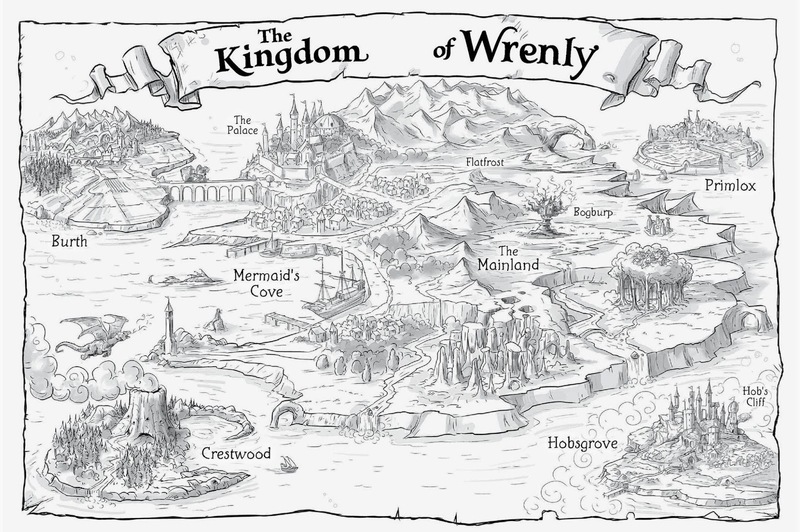 The Kingdom of Wrenly by Jordan Quinn, illustrated by Robert Mc Phillips, is a new series that is a great addition to the new field of Bridge Chapter Book and especially exciting because it is a fantasy of the kind that I rarely see in chapter books - something that falls between the traditional definitions of High Fantasy and Fairy Tale Fantasy. The Kingdom of Wrenly series has a familiar medieval setting with a kingdom, a king and queen, castle and subjects along with dragons, faeries, trolls, witches, sea monsters, enchanted forests, secret underground worlds and curses that make it rain for six days on end. Robert McPhillips's illustrations, which can be found on almost every page. This quality, along with a larger font, are the the two main characteristics of a Bridge Chapter Book, a book that is an ideal step up for readers ready to move on from leveled chapter books but not quite ready for traditional chapter books like Magic Tree House and Junie B Jones. One of the things I love most about The Kingdom of Wrenly series is the world that Quinn created for her characters to explore. Happily, McPhillip's has drawn a wonderful map that is included at the front of the book. 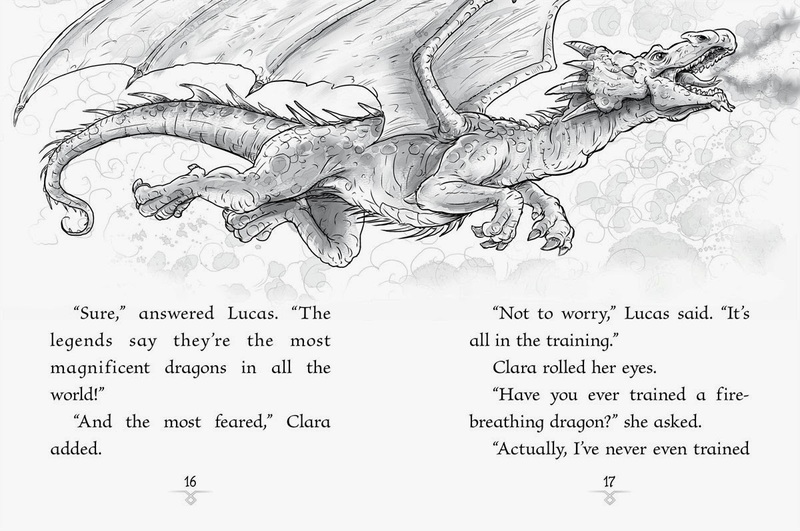 When we first meet the main character, Prince Lucas (okay, the names of the human characters, like Lucas, Clara, Tasha, Caleb, aren't exactly from the high fantasy canon, but emerging readers don't need to be tackling names like Tyrion and Daenerys or Boromir and Gimli) he has hatched a plan. Dressed in clothes he bought for a handful of coins from a boy in the village, he rides off the castle grounds and into the village where he changes clothes, and pretends to be a new boy named Flynn at the village school. His adventure ends quickly when the palace guards track him down, but not before he is recognized by Clara Gill, daughter of Queen Tasha's beloved dressmaker and former playmate of Lucas's. King Caleb, believing that Lucas should not longer consort with villagers has doomed him to a life of loneliness. Lucas's adventure leads to changes in the castle and Clara is invited back, where she and Prince Lucas quickly find themselves in the middle of a mystery when the Queen's royal emerald pendant goes missing and the King offers a grand reward. 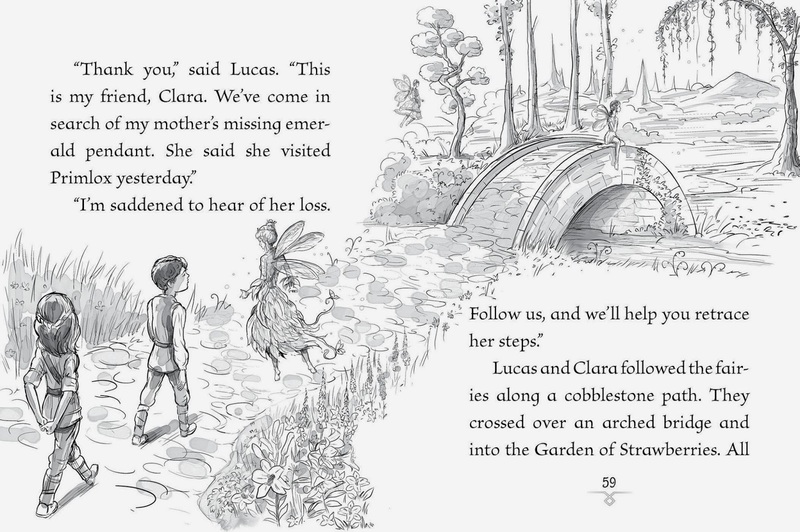 Lucas and Clara decide to retrace the Queen's path and visit all the places she had visited over the last few days. With the map in hand, they head off to Primlox, Bruth and Hobsgrove in search of the missing gem. At every stop, whether it's the Maze of Hedges in Primlox, the home of Hambone the troll in Bruth or the sandy shores of Mermaid's Cove, the two find clues to follow and, happily, they also find the Queen's emerald! Along the way, Clara gets to show just how clever she is and Lucas gets the friend that he longed for. The pace of the writing and the plot of The Kingdom of Wrenly books is gentle and the suspense is minimal. 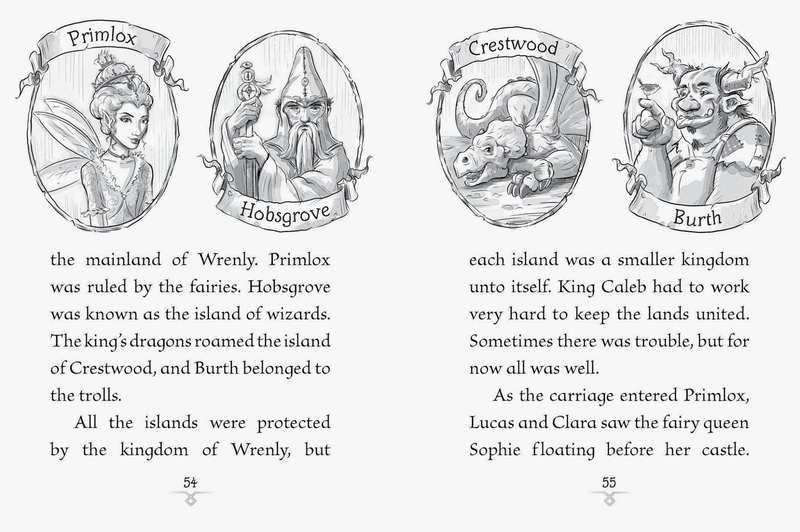 The stories are completely engaging and the geography of the kingdom is sure to lead to many, many more exciting adventures for Prince Lucas and Clara and all the friends they meet along the way. Coming June 2014 and August 2014, books 3 and 4! And coming in October and December of 2014, Books 5 & 6!